Surgical site infections (SSIs) have become a leading cause of preventable morbidity and mortality in surgery. The aim was to evaluate the efficacy of a dual-ring wound protector to prevent the SSIs in Crohn’s disease (CD) after bowel resection. 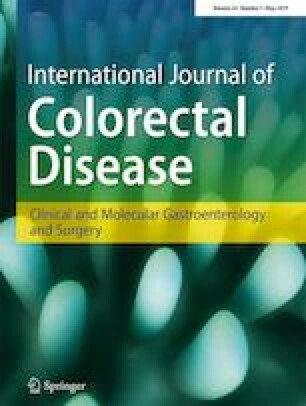 This retrospective observational study included all CD patients undergoing bowel resection at the Inflammatory Bowel Disease Center between January 2015 and June 2018 at Sir Run Run Shaw Hospital. Risk factors of SSIs were evaluated by assessing preoperative clinical characteristics and perioperative treatments in univariate and multivariate analyses. Outcomes for CD patients with and without the wound protector were compared. Three hundred forty-four CD patients were enrolled in this study, 121 (35.2%) patients had postoperative complications, of whom, 72 (20.9%) patients developed SSIs (12.8% patients with incisional SSI and 8.1% patients with organ/space SSI). There was a significant reduction in the incidence of incisional SSI in the wound protector group (8.1% vs 16.8%, p < 0.05). No significant differences were identified in organ/space SSI between groups with and without wound protector (6.3% vs 9.8%, p = 0.232). Incisional SSI correlated with preoperative albumin, C-reactive protein, white blood cell, age (≤ 16), penetrating disease behavior, surgical history, open surgery, stoma creation, estimated blood loss, infliximab, and wound protector (p < 0.05). Multivariate analysis identified the wound protector to be one of independent factors for preventing incisional SSIs (OR 0.357, 95% CI 0.161–0.793, p < 0.05). Among the CD patients with bowel resection, the use of a dual-ring wound protector during surgery significantly reduced the risk of incisional SSI. Xiaolong Ge and Shasha Tang contributed equally to this work. The authors gratefully acknowledge all of the investigators for their contributions to the trial, as well as Bin Chen, who provided medical writing assistance. Xiaolong Ge and Wei Zhou contributed to the study conception and design, Xiaolong Ge, Weilin Qi, and Shasha Tang contributed to the acquisition of data, Wei Liu and Jiemin Lv contributed to the analysis and interpretation of data, Xiaolong Ge and Shasha Tang contributed to the drafting of manuscript, and Qian Cao, Xiujun Cai, and Wei Zhou contributed to the critical revision. Supported by grants from National Natural Science Foundation of China (81800474) and Zhejiang Natural Science Foundation (LY18H030006). The institutional review board of Sir Run Run Shaw Hospital approved the project.